After Noah Webster graduated from Yale, he became a teacher. It was the time period after the Revolutionary War and the books that children used still came from England. Americans used words the people of England did not use and he wanted American school children to have a book containing words that they used. He included the words squash and skunk in his book, including definitions. These words were unknown in England. "Colour" was spelled "color". Many years later the Merriam Brothers in Springfield, MA purchased the rights to his 1841 edition. Today, the Merriam-Webster Dictionary is a household name! Click links for more info. 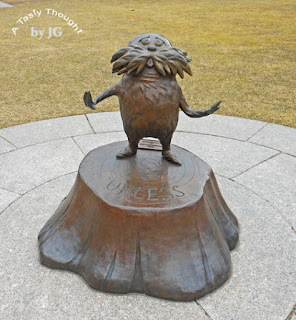 Dr. Seuss (Theodor Seuss Geisel) wrote many wonderful stories for children of all ages! Dr. Seuss wrote about things that he saw while growing up in Springfield, MA. 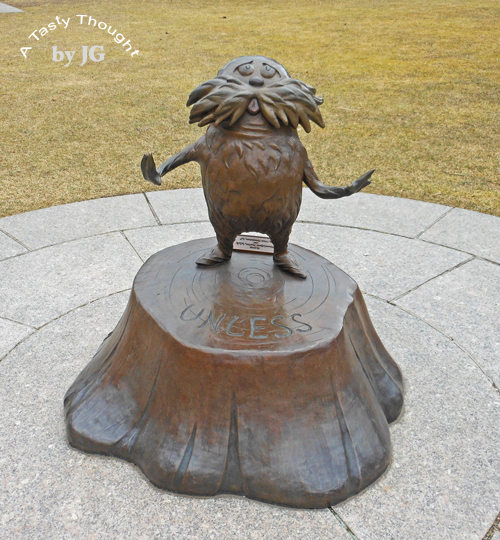 The Lorax greets visitors as they enter the grounds of the Springfield Museums in Springfield. The Memorial Sculpture Garden contains more of the bronze statues designed by his step-daughter, Lark Grey Dimond-Cates, who is a sculptor. The Garden is located at the Springfield Museums. In 1791 Vermont, our 14th state, was admitted into the Union. The following year Kentucky became our 15th state. A few years later - in 1795 our U.S. flag's design was changed to include these two new states. 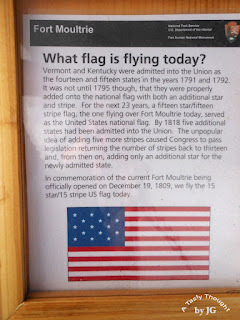 Our U.S. flag then had 15 stars and 15 stripes. This flag flew for the next 23 years. Time passed and by 1818 five more states were admitted. 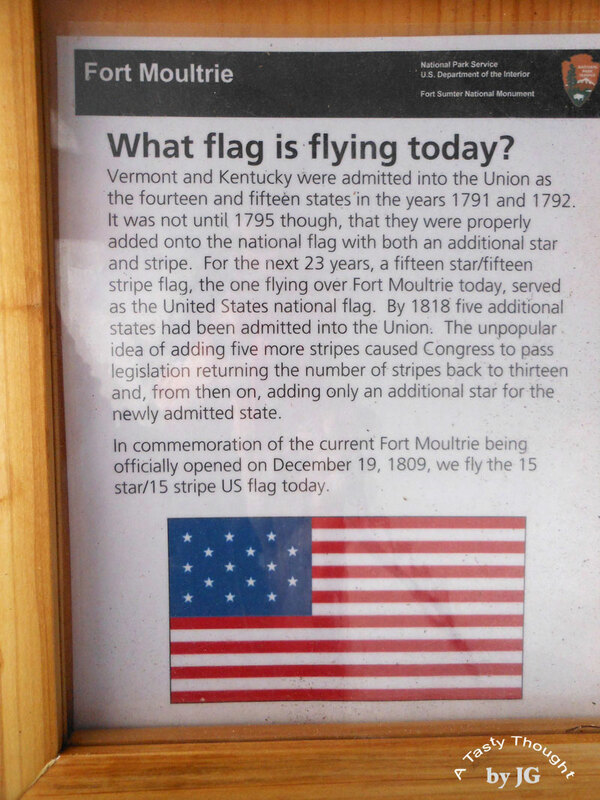 Congress then passed legislation to reduce the number of stripes back to 13 and only additional stars were added for any additional states admitted into the Union. Every spring I enjoy planting Zinnias from seeds. It's wonderful to watch the small plants grow into 12", 18" or 24" plants (depending on the specific type of Zinnia). Colorful flowers fill our gardens along with the perennials. This year my Hubby & I noticed many "Monarch" Butterflies enjoying our flowers, too. 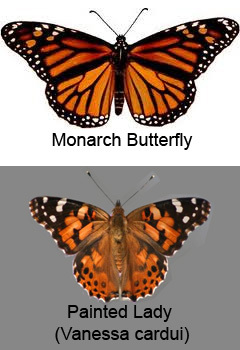 However, after a closer look it appeared that the Butterflies were slightly discolored in the middle. Magic Wings Butterfly Conservatory & Gardens, located north of us in South Deerfield, MA, kindly answered our inquiry. What a surprise! The numerous butterflies that were gliding in to land on our beautiful colorful Zinnias were the Painted Lady Butterfly. The Painted Lady Butterfly (Vanessa cardui) looks very similar to a Monarch Butterfly, but the thorax and abdomen are paler in color. WoW! Over 2,200 years ago the first Emperor of China, Qin Shihuangdi, prepared for his afterlife, after he became the ruler of the Qin Dynasty. (Qin pronounced "chin".) 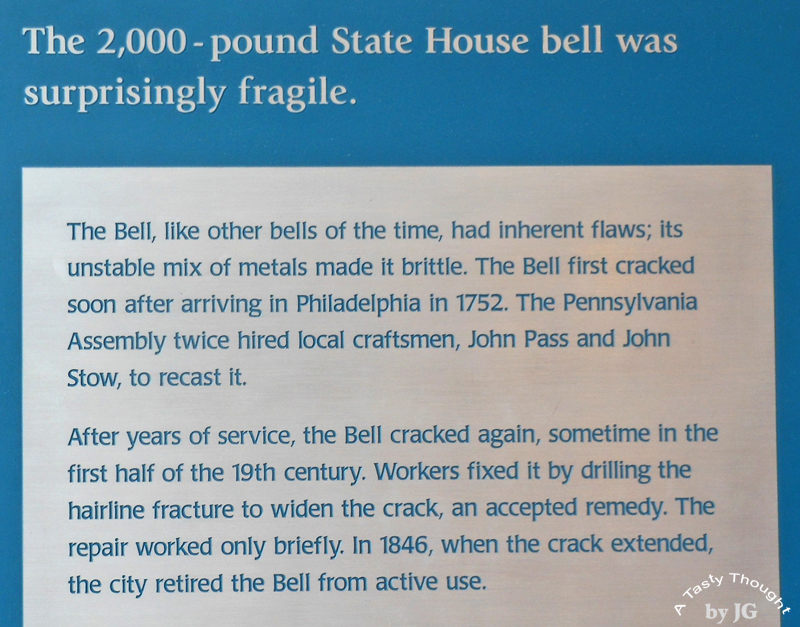 His tomb took over 40 years to build and more than 700,000 workers labored. Terracotta warriors and terracotta horses were made to be included in his tomb. Centuries passed. In 1974 peasant farmers were digging for a well in China. They dug deeper and did strike something solid - a part of a terracotta soldier. Click here to read more. This is an interesting part of China's long history. 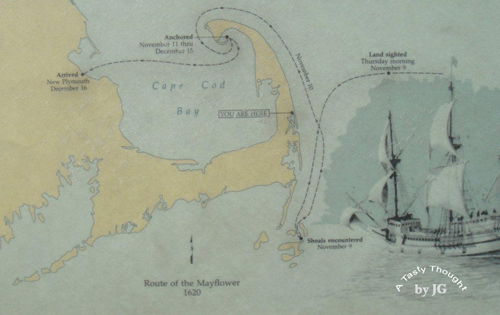 The Pilgrims sailed across the Atlantic Ocean from Plymouth, England on September 6, 1620. Their goal had been to reach the Hudson River. On November 9, 1620, the Pilgrims sighted land. 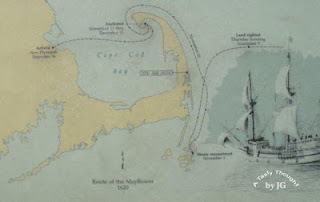 It was the coast of Cape Cod. 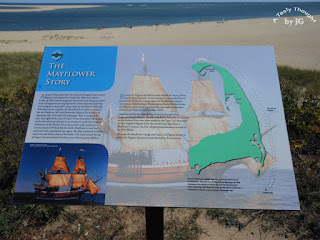 After sighting land (Cape Cod) and trying to sail south, the shoals in the water forced the Mayflower to sail back north. Provincetown Harbor at the tip of the Cape was where they anchored. About one month later, the Pilgrims sailed to Plymouth, Massachusetts. They wrote a document to govern themselves in this new land. The document is the Mayflower Compact. Every year we celebrate Thanksgiving and remember this group of brave people who settled in Plymouth, Massachusetts. 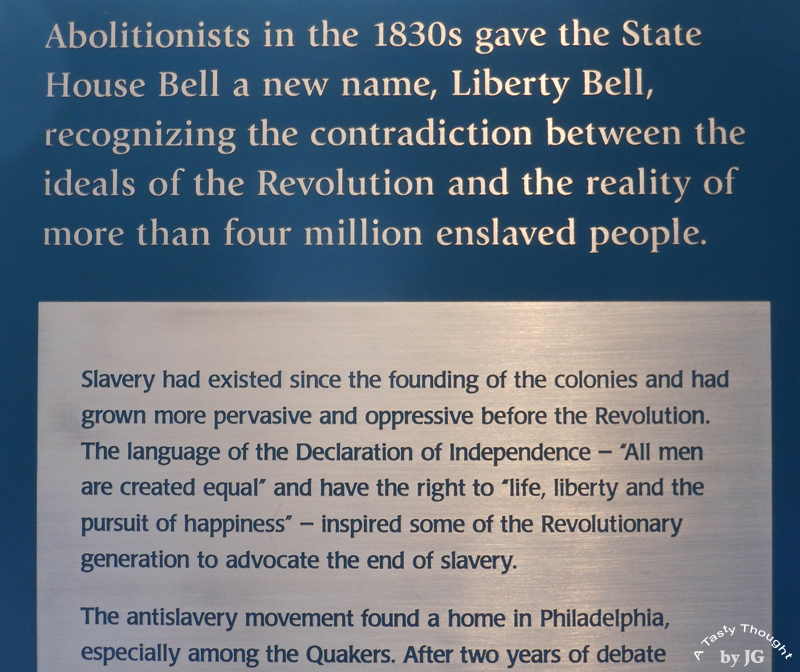 The Liberty Bell was given its name by the Abolitionists in the 1830's. 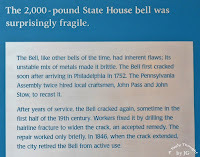 Before that time it was known as the State House Bell. 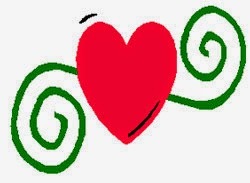 Esther Howland is the "the mother of the American Valentine"! Her dad owned the largest stationery/ book store in Worcester, MA during the mid 1800's. This young woman from Central Massachusetts had a great idea! To learn more about her idea that resulted in a sweet business, read this fascinating story from massmoments.org! Click here for the story!